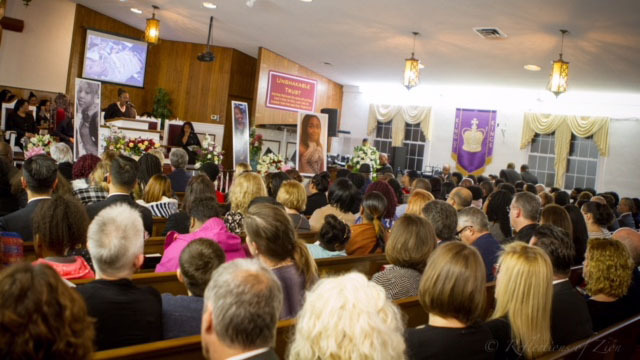 Dozens of people gathered in Memphis, Tennessee, on Saturday for the funeral of Jholie Moussa, a Virginia teen who went missing last month after telling her sister she was going to a party. She was found dead two weeks later. "We realize #JusticeforJohlie will not happen overnight and can’t tell you how much it means to us to have those who will be with us throughout this journey," Moussa's mother Syreeta Steward-Hill said in a statement. Moussa’s body was found in a wooded area of Woodlawn Park in Fairfax County, Virginia, on Jan. 26, less than a mile from where she was last seen in the 4200 block of Sonia Court. An officer found her body almost entirely covered by leaves. Steward-Hill told News4 that a 17-year-old person of interest in the case is Moussa's ex-boyfriend. The teen was charged with a previous assault on Moussa, but he has not been charged with her death. He was recently released from jail.